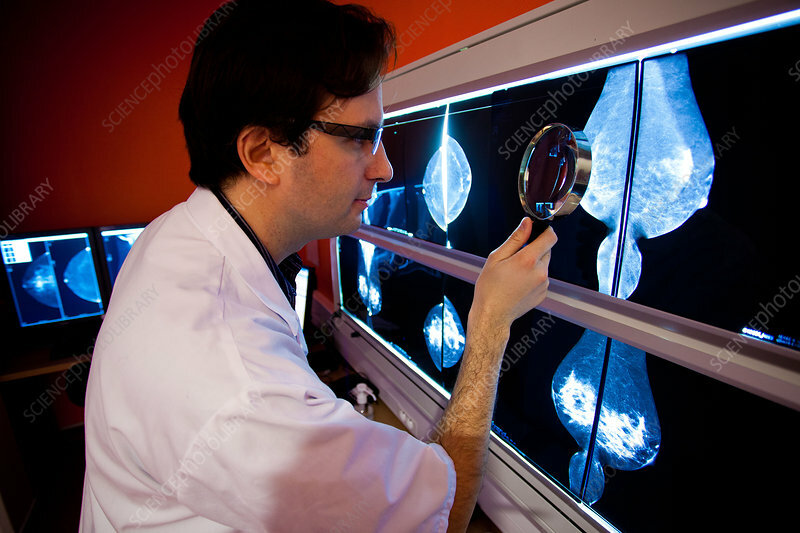 Radiologist examining Senobright contrast-enhanced digital mammography. This new technology developed by GE Healthcare provides contrasting image to highlight potential areas of angiogenesis. Armentieres hospital, France.